There's a lot to do in Eagle Mountain! From the laid-back golfer to the extreme sports extremist, you'll find something fun for everyone of all ages. Take a peek through our list of recreation hot spots here and click on the "details" button for more info. Golfer? Visit the Ranches Golf Club! Biker? Visit the Mountain Ranch Bike Park! Skater? Eagle Mountain's got you covered. Beat the heat? Visit the Splash Pad! Concerts and events? Silver Lake Amphitheater! Equestrian? Cedar Pass Horse Rink! Flying enthusiast? Cedar Valley Airport! Enjoy all of these great recreational opportunities at Eagle Mountain. 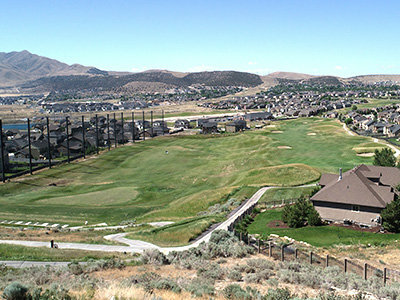 The Ranches Golf Club, a western-themed 18 hole championship golf course, is the pride of Eagle Mountain. The spectacular rolling greens are intermingled with the northern neighborhoods of Eagle Mountain. 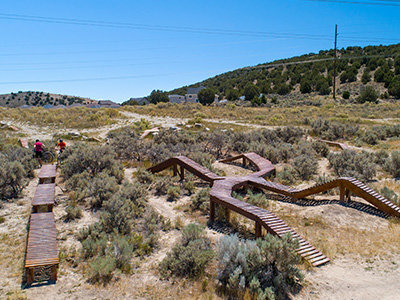 Located at The Ranches at Eagle Mountain, this bike park is great for riders of all skill levels. There are jumps, slope style trails through the juniper trees, banked turns, and a pump track. Skater? Don't miss the Eagle Mountain Skate Park! Filled with ramps, rails, a halfpipe, a bowl, and a bunch of benches, it's the best place in Eagle Mountain to sharpen your skating skills. 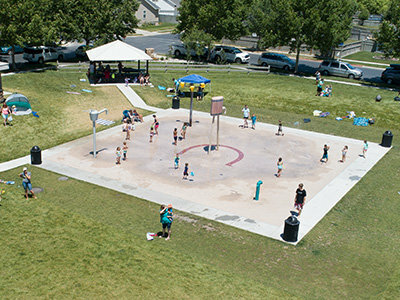 The Nolan Park Splash Pad, located on the northwest corner of Nolan Park, is a great place for the kiddos to beat the heat in the summer months. There is also a large restroom next to the pad. 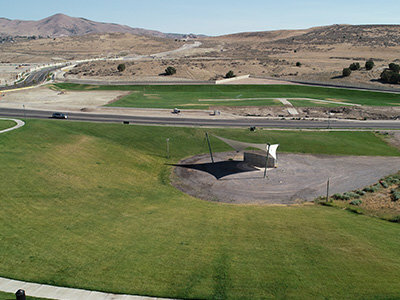 The Silver Lake Amphitheater is a great place to take in a concert, movie nights in the park, and a variety of other events. There is plenty of seating on the grass surrounding the amphitheater. The Cedar Pass Ranch Horse Rink is open to all residents of the Cedar Pass Ranch Community. 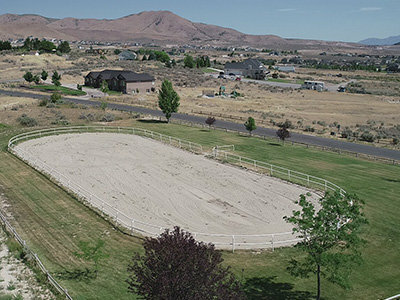 This equestrian arena is a great place to exercise your horse and hone your riding skills.